911 SBD are your local Porsche independent garage. We specialise in providing the very best service to all our customers, whether a small repair or full major service is needed. 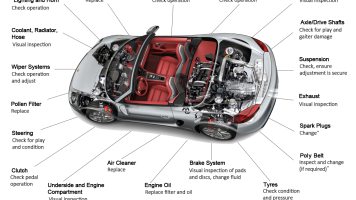 So if you are based in London you can count on 911 SBD for all your Porsche repair needs. 911 SBD are based in London, NW2 and have a wealth of knowledge and experience when it comes to Porsche repairs, Porsche services and Porsche restorations. Being a Porsche independent garage we are able to give the very best service at a competitive price, whilst providing a personalised service to all our customers. Porsche Services: We provide minor and major Porsche services, which can be tailored to you and your car. Porsche Restorations: Whether you have a rare model or a popular classic we are able to carry out full restorations to get your Porsche back to it’s original condition. Porsche Repairs: We can repair everything from small scrapes to large amounts of damage. As a local independent Porsche garage in London we like to set ourselves apart from our competitors. Therefore there are a number of benefits that come with choosing 911 SBD as your Porsche specialists. We provide a truly professional service from beginning to end; from the moment you contact us to the moment you drive away, you will experience professionalism from all members of the 911 SBD team. Additionally, we are competitive with our prices; being Porsche specialists and an independent garage means we are able to ensure we source the very best parts at the very best prices. Not to mention our excellent team comprised of mechanics and Porsche experts who are truly passionate about the work they do and the vehicles they work on.